These incredible HRE P101’s just arrived at our showroom and are ready to find one lucky new owner. Don’t wait the usual 8 weeks it takes for these to be manufactured – this set is ready to ship TODAY. Tires & TPMS sensors are included in this package. These wheels can also be refinished to a different color at your request. 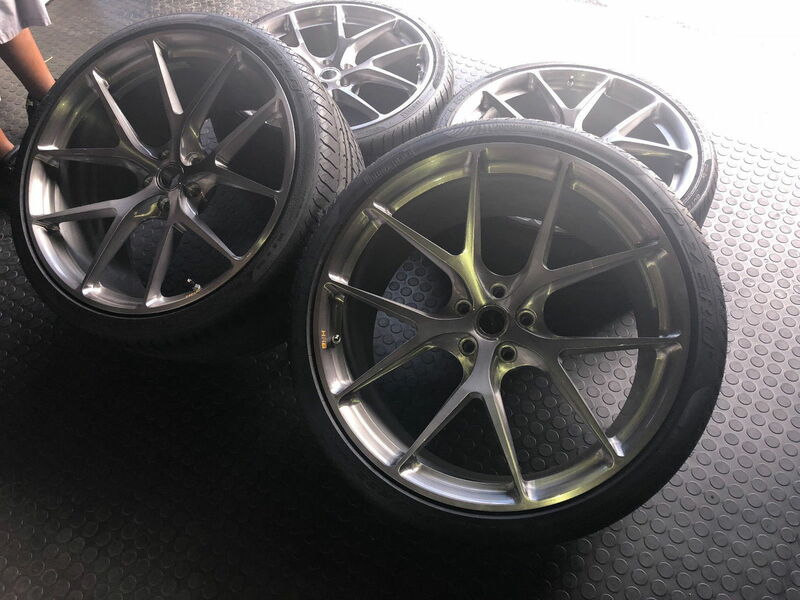 These spectacular lightweight HRE P101's with tires are still available - contact us now and lets make a deal! I wanted to share with everyone some photos of a 458 with Brushed Dark Clear P101's to provide a vision for what these wheels will look like on the car. Wheels are still available, let's make a deal for the holidays.